I went to my favorite fish market a couple weekends ago, all set to follow through on my resolution of getting more Omega-3 fatty acids in my diet in 2013. Unfortunately just about everybody else must have had the same idea because just about the only fish available for less than $20 per pound were these salmon filets. But since two of the ingredients in my beloved fish and furikake bowl are temporarily off-limits (rice, mayonnaise), I had to come up with something a tad healthier. 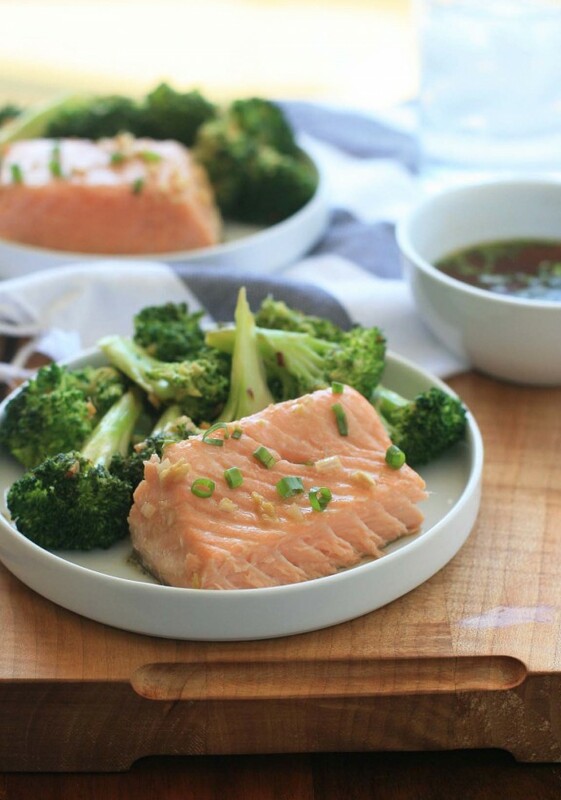 In this recipe salmon is marinated in a sweet and sour Asian ginger marinade and baked until tender and flaky. You can stop there or, for extra credit, serve it with a Vietnamese dipping sauce that’s hot, sour, salty and sweet. Combine the oil, ginger, garlic, shallots, fish sauce, and soy sauce in a medium bowl and mix well. Add the salmon and flip to coat. Cover and refrigerate for at least 30 minutes or up to 2 hours. Preheat oven to 375 degrees. 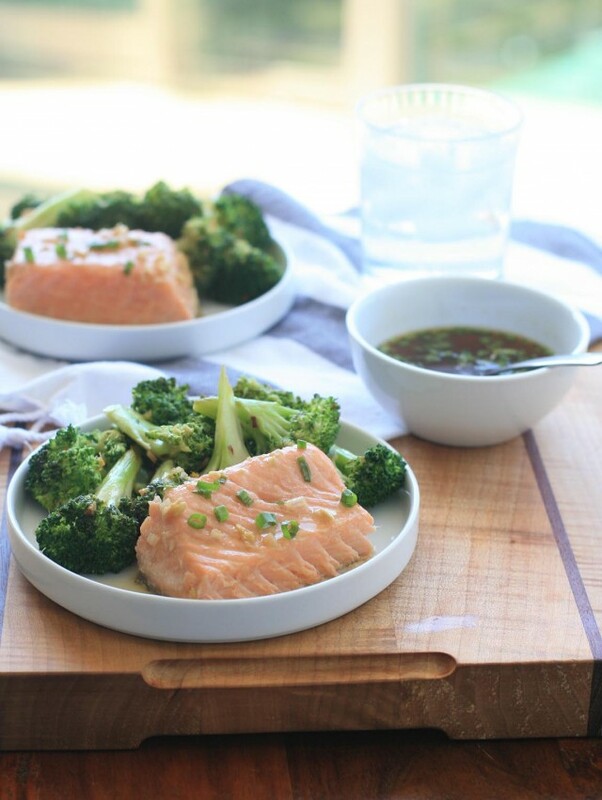 Place the salmon and the marinade in a baking dish and bake for approximately 15 minutes, or until the salmon is done and flakes easily. 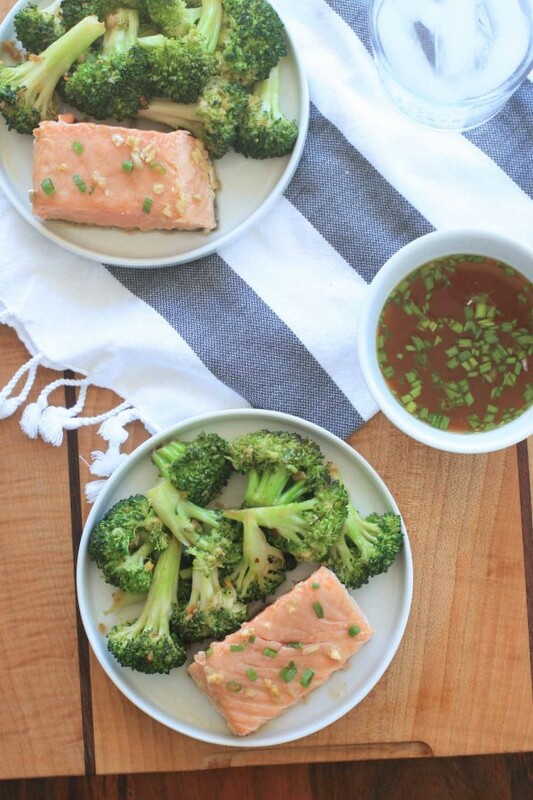 While the salmon is baking, prepare the dipping sauce by combining the fish sauce, lime juice, rice vinegar, water, sugar, chile pepper and green onion in a small bowl. Stir until the sugar is dissolved. Transfer the fish to a serving platter and serve with the Vietnamese dipping sauce.